Who’s Jamming your Smart Phone Signal? 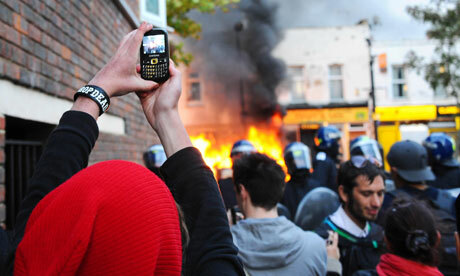 There are legal, social and political ramifications to jamming cell phone signals. Police want to do it to stop protestors or criminals from organizing and monitoring police activity. Governments want to control information. Security teams want to make sure explosives can’t be triggered with cell phone calls. It’s tricky to regu late jamming devices because law enforcement wants to be able to use phones, people have the free speech rights and there are a lot of safety consequences to shutting off cell phone service in a crowd. Here are some past, present and future ways phone jamming might end up happening. How hard is it to shut off your phone service on site? 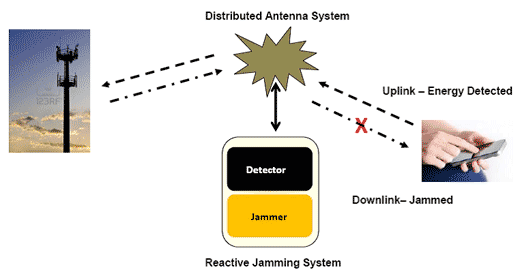 A jamming device blocks the signal using radio waves on the same or similar frequencies a cell phone signal is using. The idea is to disrupt or corrupt the signal so badly that the cell phone tower can’t communicate with the cell phone. In the Americas, mobile phones use a 1.9 GHz frequency band,. In Europe and Asia, they use a 900 Mhz and 1.8 GHz band. Some phones operate on multiple bands but manipulating a single frequency band can cause call to fail because most phones are equiped to read a wide range of radio bandwidths and adapt to areas with dominant frequencies . Today’s signal jammers can fit in your hand or pocket and can be bought over the internet or at army surplus or police supply stores in urban areas. They can be fabricated pretty easily with downloaded schematics and produced on small-scale production lines in the first world without raising too many eyebrows. Small signal jammers shut down signals to/from any device in a 8 to 10 meter radius. It’s possible to create larger signal generators that take up space in the back of a van and cover five kilometers or more. The Communications Act of 1934 actually prohibits devices of this kind indirectly, stating the Federal Communications Commission (FCC) must first license the 1.9 Ghz (and other bands) for commercial use and blocking or interfering with a commercially used signal of this nature is a denial of service attack. Yes, the language of today’s DOS attacks has been used in communications law for that long. It’s a little bit of a gray area though, because selling and owning a radio frequency jammer isn’t illegal as long as you don’t actually use it. Sort of silly but it does make law enforcement’s job easier, even if it makes cell phones drastically less secure. It’s a $16,000 to infringe on communication rights with a jammer – if you got caught, of course! New Zealand, Canada, and the United States let law enforcement agencies and prisons use them, although, they are not always in use so casually because law enforcement and prison personnel like to use their phones, socially and on the job. Which brings up the real issue with this rather clumsy hack. The present-day jamming devices blanket a bubble-shaped area with indiscriminate denial or service. Some people suggest jamming school systems, highways or movie theaters and other places where cell phones are rude or dangerous to use but that would leave people without access to emergency services and cause a lot of problems for people who work or live near these locations. Not all countries regulate devices so stringently, though. France and Japan allow jamming in movie theaters, art galleries, concerts, and other public venues, at the discretion of business owners. This tech is prevalent in Prisons, and has had very little backlash from prison employees. Cell phones can find their way into the system and if not jammed, could allow prisoners to coordinate escapes or gang activity. The most common legal use for jammers are during transportation of high level government or corporate officials such as U.S. Presidential motorcades. In 2003 an assassination attempt on Pakistani President Musharraf was thwarted by a fortuitous jamming device, an explosive later discovered, untriggered. Though he has yet to be charged with a crime, a guy in Philly was actually using a jammer just to shut people up, turning it on in crowded areas whenever he felt annoyed by someone’s rude behaviour involving phonecalls. More people might end up using them for noble or selfish purposes because the tech is so softly punished and the sale and ownership of it is unregulated. In cases of civil unrest it could be a card played by either side, either interfering with police or military organization channels or with protestor’s ability to organize against and document police activity. In areas where signal jammers already are in use, a simple device that amplifies available bands can be used to expand the area of a device. 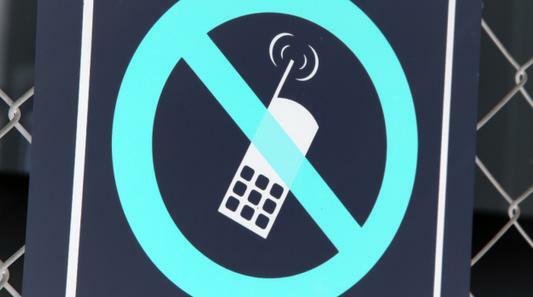 This could be used in a prison, for example to make areas outside of the intended phone-free zone also expirience signal disruption, forcing prison officials to turn off the jammer.